Budding footballers will appreciate receiving a golden boot trophy. 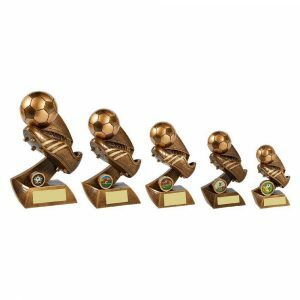 If you are planning a football celebration or awards ceremony, buy your golden boot trophies from us. 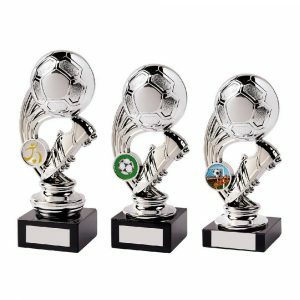 Challenge Trophies Online specialise in trophies and awards for all occasions. Our online ordering service couldn’t be easier. Select the item or items you wish to buy. Decide whether you wish to personalise one or more of them. Add your personalisation in the spaces provided. A small additional charge is made for each personalisation. The cost is clearly displayed on each page. You’ll always know exactly how much you need to pay. We also have a low minimum order for free delivery. 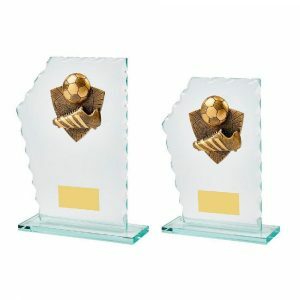 Our golden boot and ball trophies are available in gold and silver designs. Boot and ball medals are available too, along with medals in presentation cases. 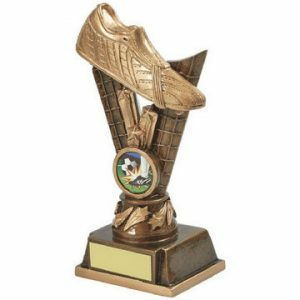 Every golden boot trophy is freestanding and the finish provides a classic look. 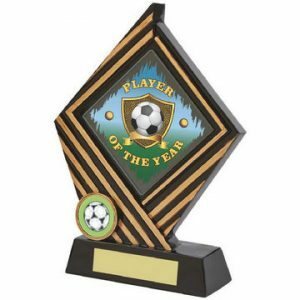 Football trophies have a small plaque ready for personalisation. Medals can be personalised on the rear. Every golden boot trophy is packed securely for posting to you. 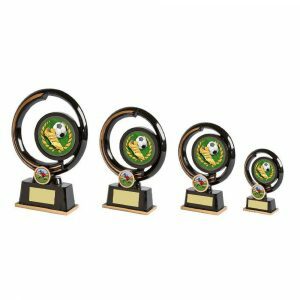 These trophies are perfect for awards ceremonies to recognise the hard work of young players. The gold resin trophies are also available in a variety of sizes. This allows you to choose your purchase depending on your budget and on who is to receive the award. You can choose a smaller size for a young player or a bigger size for someone older. 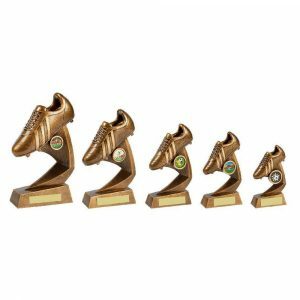 Challenge Trophies Online provides an excellent range of high-quality golden boot awards. In some instances a different centre image for an award can be chosen. 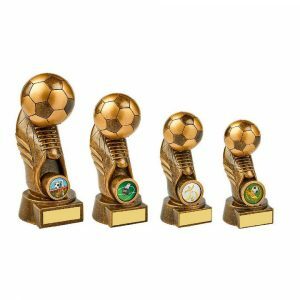 Personalise and order your chosen golden boot trophies today. The simple ordering process is secure, fast and very easy to complete for your convenience.